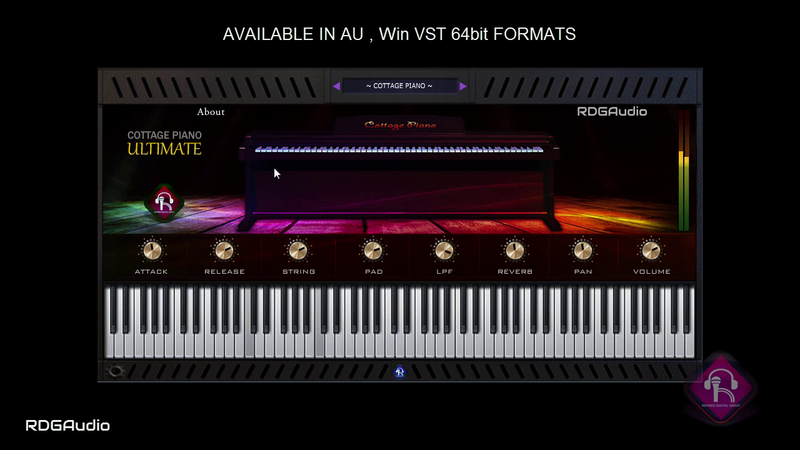 Cottage Piano Ultimate is a sample based Instruments. It has been sampled from RDGAudio’s custom made wood piano Makavioes Cottage Piano. Sampled with 4 Mic Position,chromatically (phase Inverted).It is velocity sensitive instrument with built in 3 layers of Round Robin sampling. It comes with Win 64 bit VST & AU plugins. 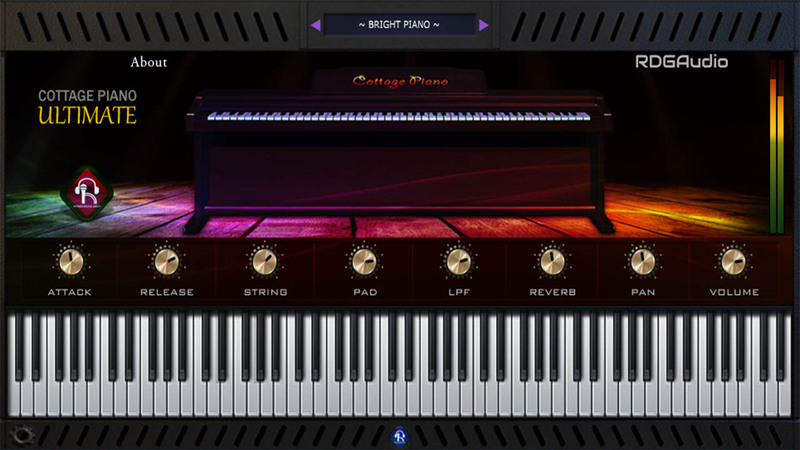 Cottage Piano Ultimate comes with 4 Piano models Bright Piano,Cottage Piano, Uplifting Piano and Warm Piano. Built in chebyshev Filter. Now just play real Cottage Piano right inside your host DAW. The Cottage Piano Ultimate comes with 4 Piano instruments. 4 Piano models all have been sampled from RDGAudio’s custom made Cottage Piano .Sampled and Designed by our talented professionals and sound designers. Piano samples have been captured chromatically with 3 layers of Round Robin sampling and 4 mic position. To inspire you instantly, we have treated with legendary outboard effects, eq, compression and saturation. Just Load & Play. Q: Can I load other expansion pack with in Vibraphonez? Please use Adblock or Popup block plugins in your Firefox/Chrome etc browser to bypass annoying Ads from Mediafire. RDGAudio does not collect revenue from Mediafire or by showing Ads. RDGAudio has the sound and the approach that we immediately connected with, instant inspiration and unexpected gratification. We are incredibly happy that RDGAudio has come into our creative world. Wow it's amazing!! RDGAudio's Cottage Piano is my new go-to plugin. Best Sounding Piano ever I got with very reasonable price. The are really best,they are making Lite versions as well for all their plugins. Unbelievable !! Indian instruments as AU & VST plugins formats! O my god. I have got very good sounding Indian VST,Acoustic Dhol & Acoustic Dhaak sounds amazing. I love their products. © Copyright RDGAudio 2019. All rights reserved.